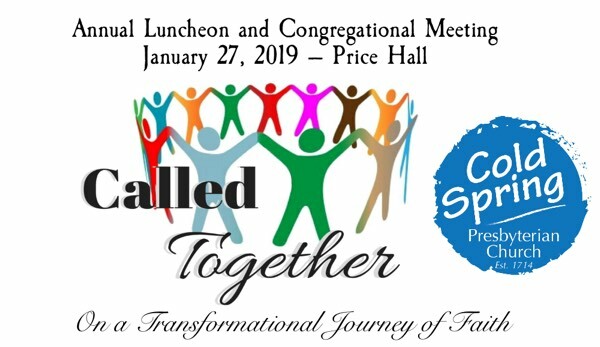 The annual meeting of the congregation called by the Session will be held on Sunday, January 27, following the worship service, in Price Hall. Everyone is welcomed, members and guests alike! A lunch is provided. During our meeting we will review and celebrate the activities of the church in 2018, remember those who passed on to join the Church Triumphant during the past year, and we look ahead on our transformational journey of faith in God’s emerging future. We are called together! Let’s prepare for what’s ahead in 2019! The 2019 Annual Reports for YEAR 2018 (updated v3) may be downloaded here. A Meeting Docket for the meeting may be downloaded here.